It’s a competitive world out there in the dance music industry. One talent to rise to the top over the past half a decade has been Greg Downey whose music has been embraced by labels like VANDIT, Discover and Reset. He has let his music do the talking and is one of Irelands greatest trance exports to date with many new producers looking up to him to follow on the same path. He is ready to take the next step in his career and will shortly be unleashing his very own label ‘Global Code’ with one of his own tunes to kick it off called ‘Dolphin’. We had the chance to catch up and fire a few questions to Greg to find out more on his new venture and his thoughts on all things music. i:Vibes: It’s a pleasure you have you back on the i:Vibes pages Greg, 2011 was the last time we caught up. 2012 has been and gone, how was last year for you? Greg: Thanks a lot for taking the time for the interview, it’s a pleasure also. The last year has been brilliant thanks with lots of new countries visited and developing some new sounds in the studio. For me it’s been a year of dipping my toes in some new waters plus developing my trance sound. It’s been a great year for music and 2013 is carrying on in the same vein. i:Vibes: We are already four months into 2013 and the summer season is fast approaching. What events over the next few months are you most excited about? Greg: The next couple of gigs I’m buzzing for are Eargasmic in Prague where I will be doing a b2b set with Sean Tyas and I’m very much looking forward to returning to New York, its one of my favourite cities! i:Vibes: You had a few notable releases last year with ‘Until Tomorrow’ on Night Vision and ‘Crazy For You’ on Garuda. ‘Crazy For You’ was a little different from your euphoric style of sound, what was the inspiration behind that track? Greg: Yes Crazy For You was just to try something new really, I like some darker chunky sounds so I just wanted to freshen things up. I think when you have done so many trance records for so many years its good to try something unexpected. i:Vibes: You continued with your alter ego RICO last year to with the track ‘Afraid Of The Dark’. How would you describe the different production style you showcase in RICO compared to a Greg Downey branded track? Greg: The R.I.C.O sound is something I developed to cater for the more progressive dark sounds I sometimes like to play at the beginning of my sets, it’s a totally different sound to the normal Greg Downey tracks. I’m known for music that is a lot more melodic but people who are familiar with my DJ sets will know that I like to mix it up so the R.I.C.O stuff just gives me that variety and diversity I like alongside the trance. i:Vibes: Last month you teamed up with Sean Tyas for the single ‘Dark Before The Dawn’ on his very own Tytanium label. What was it like working with Sean and what drew you to collaborating with him? Greg: Well me and Sean have been good friends for many years so the collaboration was very much overdue! We had actually started one a couple of years ago but we didn’t end up finishing it so it was nice in the end to get this done. Sean is great to work with, he is so talented and a technically amazing producer. He gets an overall great sound and he has been very helpful to me over the last few years when I needed it and I am really thankful for it, top man! i:Vibes: Speaking of labels, we were delighted at the news that you will be launching your very own label ‘Global Code’ this year. What music can we expect to see on the label? Greg: Thanks, glad you sound as happy as I am about it! Global Code is going to showcase the sounds I play across the Globe, be it trance , progressive, tech trance or techno with the main emphasis on quality. There will be lots of new Greg Downey tracks and some really cool R.I.C.O bits as well to cater for the darker side. It’s an exciting time for music right now and I am looking forward to sharing the new bits with the fans. i:Vibes: When did you take the decision to setup your own label? Greg: The decision was made towards the end of 2012. I had always wanted to start my own label but I wasn’t sure exactly when that would be but now just seemed ti be the natural time to do it. I wanted to have control over my music output and to develop my own brand across my radio show and label so this was the next natural step. i:Vibes: What are the challenges in taking on a label yourself rather than putting out releases on labels like Armada, Reset and Spinnin? Greg: Well the main challenges are that there are more things to do , for example artwork, press, interviews, promotion, youtube whereas before it was handled by the label. Obviously the main labels have more power as well but I do believe that good music travels well regardless of that so I am hoping to build it up to be a strong label one day. i:Vibes: How much help and support have labels like Reset and Discover who you have had a lot of your earlier releases on been in your musical career? Greg: It’s been really important because as an artist you need to be producing good music and for your music to be getting out there as much as possible and on strong labels. The music industry is very competitive and having good labels put your music out is only a good thing. i:Vibes: What is the kind of artists you would like to put on the cover of a Global Code release? Greg: The artists I’d love to have are Eric Prydz and Paul van Dyk but I don’t think that would ever happen, aside from that Simon Patterson and Sean Tyas both owe me a collab each for my label so I will hopefully be getting one out of each of them at some point! i:Vibes: Your debut single ‘Dolphin’ certainly has the Greg Downey sound stamp on it with a very uplifting feel. How did you come about to produce the track and why is it called Dolphin? Greg: Basically I hadn’t done a driving trance track for quite some time and after having a little break from it I felt inspired to do something good. There are loads of ideas in the studio that never really progress into full records because they don’t quite have that “feeling” that I am looking for! Dolphin is the exact type of trance I like to produce and has that Greg Downey sound to it as you say, I love catchy melodies that are really uplifting but also remain classy. The title Dolphin just came into my head because the track has a happy kind of vibe to it and Dolphin seemed to suit it well! i:Vibes: Can we expect a new RICO release on Global Code? Greg: Yes definitely. The second release on the label will be R.I.C.O – Elements which will include an amazing Kevin Focus remix. Both the original and remix have turned out nicely so people who have been looking for more R.I.C.O wont have too long to wait. i:Vibes: The Global Code name is one after your radio show but also the title of an old single of yours from 2010. One of my favourite Greg Downey releases, any plans to remake it? Greg: Yes , basically I had decided on the name before I made that track but wanted to put the name to a single that I thought was strong and would be remembered and for me Global Code was that track. There are definitely no plans to remake it as the original and the Scot Project Remix did the job so I am happy to leave it as it is. i:Vibes: On the subject of remakes, the scene went wild for your ‘Everything But The Girl - Missing’ remix. What made you pick that track for a remix? 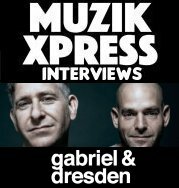 Greg: It was the same process for all my remixes, it was one of my favourite old tracks, it was a huge record, but at the same time really cool and credible. Also the final point was that I always need to feel that I can do something to it and make it special and thankfully it turned out well. i:Vibes: Your Global Code radio show is an essential tune in for the very latest from yourself. How long does it take you to put the show together and what’s your philosophy behind it? Greg: Global Code Radio is my platform to showcase my full range of sound, from progressive to trance to techno and tech trance. I have always stuck by the theme of building the two hour show up like a long DJ set and making sure that the music is quality. There are quite a few unexpected records in there and its certainly not a show full of the 20 biggest promos of that week. The show has to flow from start to finish. Usually it takes me about 6 hours depending on how many tracks I need to search for. i:Vibes: How would you describe the Greg Downey sound as it does have a very unique flavour to it we think? Greg: Glad you think so, thanks. I guess I try and make sure each release has an edge to it and that the track is the best it can be. I like my music to have quality over quantity really and I like to mix it up a bit from driving trance through to some darker bits as well. i:Vibes: We have had quite a few singles but no artist album so far, are there any plans in motion to release one? Greg: An artist album is definitely something that will be coming but its just a case of when, I am in the early stages of planning but for the next year or so my main focus will be on my singles, label and compilations. I want my album to really be special so its gonna take some time. i:Vibes: How much of an influence has your experiences in Thailand been on not only your music but also yourself? Greg: Thailand has been a massive life experience for me as I am really into Thai boxing. I trained over there solidly for 5 months and it was one of the best things I ever did. It’s a great sport and the fitness levels and focus are unbelievable. Its something I continue at home and it keeps me sane amongst the madness! i:Vibes: How is the kickboxing going and what made you get into the Martial arts scene in the first place? Greg: It’s going great actually, I train in Dublin and very rarely miss training. I don’t feel happy if my fitness isn’t up which can be difficult at times when you are away travelling with the DJing. I got into it because I wanted to do a martial art that was tough and had the most pratical value in real life. Muay Thai is definitely the toughest stand up combat there is as it uses punches, elbows, kicks and knees. I love it. i:Vibes: Do promoters double check they have your rider right at venues now you’re quite handy with the Martial Art? i:Vibes: Who else in the music scene is into that kind of stuff and who would you like to face one on one for a duel? 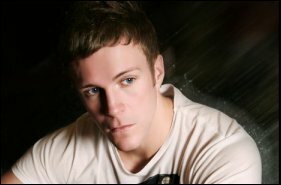 Greg: Well when I started out Simon Patterson started with me, we both started in London. Patters is a bit too soft though, I don’t think he could hack the pace! Would love a duel, although he did floor a heavy weight in our gym once haha. i:Vibes: The trance scene has really come alive in the past year or so and has a little bit of an underground feel about it once again. How do you see the current state of the trance scene at the moment? 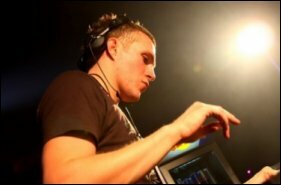 Greg: I think trance is really healthy although there are so many different aspects to it. The main sound in trance seems to be really housey almost, it is definitely not what I would call trance. But then on the other side of the coin there are more underground artists making some great banging music too. I think overall its in a good place because there are no rules, make what you love and follow your passion and I am sure there will be fans out there who will appreciate what you do. i:Vibes: Aside from trance what musical style do you enjoy, or even produce that most people would not expect? Greg: I love really cool progressive house / techno bits. Eric Prydz is my favourite producer and I absolutely love his music, for me he is a pioneer and very original. I am also a massive fan of The Prodigy, I love their attitude. i:Vibes: What have been your favourite pieces of music released this year so far and what artists would you tip as a name to keep an ear out for over the next few months? Greg: I really love Armins new vocal track – This Is What It Feels Like. Its brilliant because it hits the mark between commercial and a great record. Pryda – Power Drive is another great track, attitude and darkness from Prydz. I also like Angry Man – Mescaline on Perfecto Fluoro, it’s a great piece of driving acid trance. Producers I rate and think are solid are Will Atkinson, Reaky, Angry Man, Fehrplay and Jeremy Olander , all seriously cool! i:Vibes: It’s been an absolute pleasure to chat to you Greg and many thanks for taking time out to share your thoughts with the i:Vibes team. One final thought, if you could pick one film to watch tonight before bed, what would it be and why? The first release on Greg's new label 'Dolphin' will be debuting very soon. Check out the preview below for a taste of things to come!